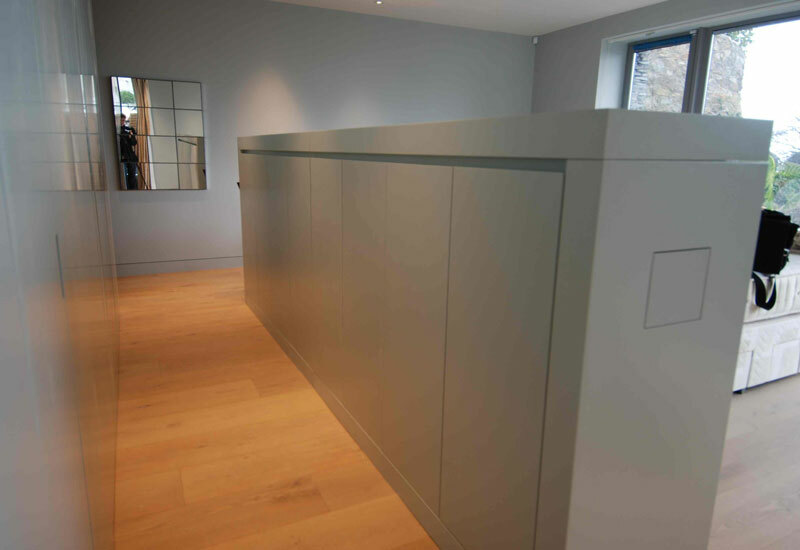 This project involved furniture fitout and interior wardrobes to this stunning contemporary new build home in Dalkey Co. Dublin. 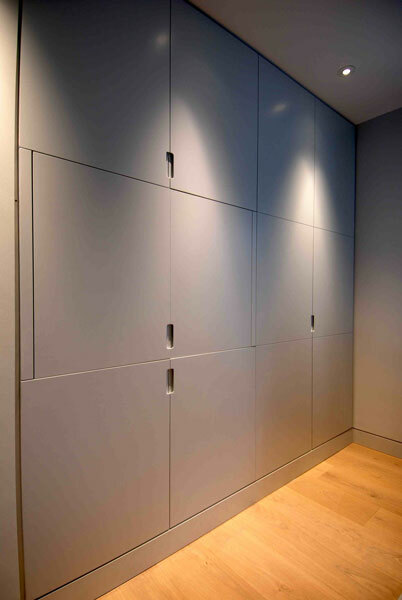 Studio M Architects received the Grand Designs Awards 2012 Finalist for these designs. 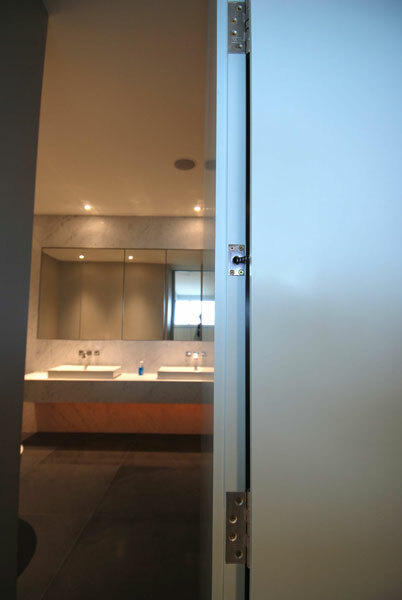 Spray painted hidden doors give the illusion of a wall of panelling and conceal the internal door into the master ensuite. 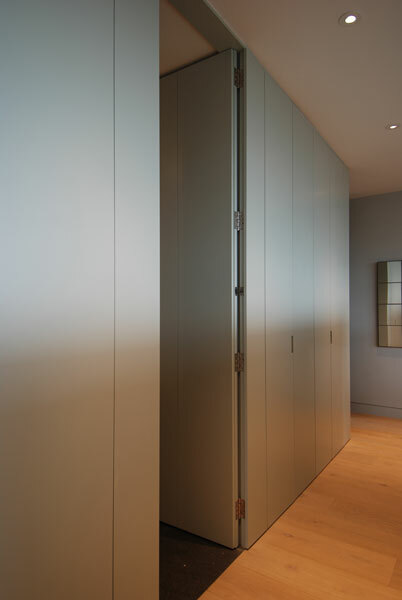 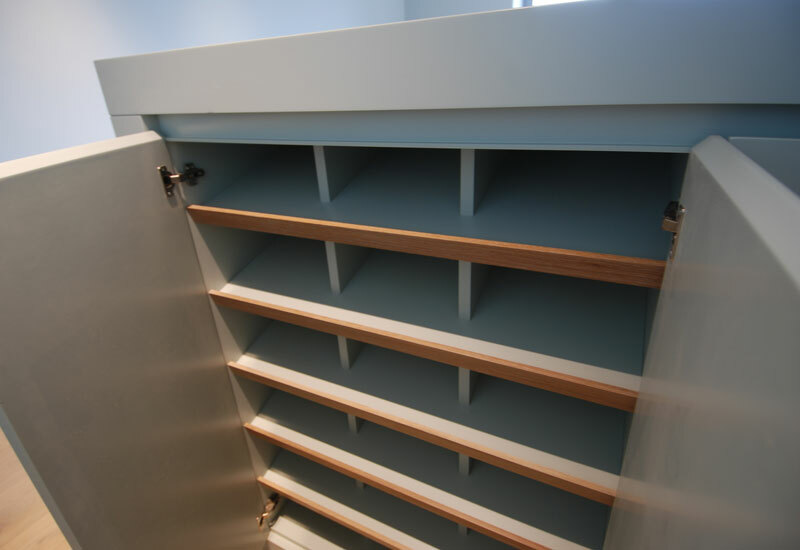 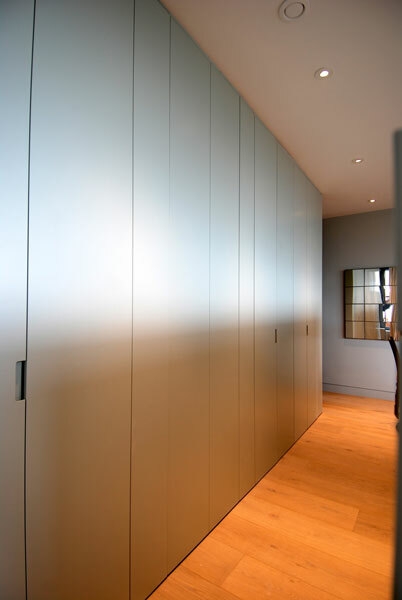 Bifolding sliding doors open to reveal the wardrobe storage.